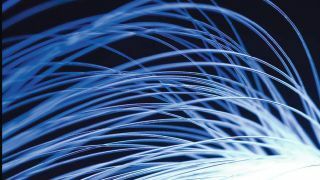 Hyperoptic is ready to bring its brand of ridiculously fast broadband into the enterprise sector after detailing services that can tip the speeds past 1Gbps. In a statement the company, which has until now been focused on the consumer market, said that it is offering its fibre-to-the-building (FTTB) product in three different flavours. Packages range from offering 20Mbps downstream and 1Mbps upstream speed, rising to 100Mbps down speed and 1Gbps down on the top package. All three have unlimited usage and can be bought under one of three different plans depending on the nature of your business. Its main business broadband option is designed for SMEs in large scale office buildings, business parks or those that work from home with 12 month contracts used as standard. It offers the entry-level 20Mbps/1Mbps service at £25 per month for the first three months before it rises to £50 per month after that. The price then rises to as much as £100 per month for 100Mbps and £300 per month for 1Gbps. The other two options involve leased lines, either shared or dedicated to your firm, and come in contract sizes of one, three or five years with prices starting at just £200 per month for a 100Mbps shared leased line. FTTB broadband differs from other offerings in that the fibre optic cabling comes direct from the exchange to the building and no copper is used thus making sure that speed isn't lost due to this. Hyperoptic has 12 "hyper cities" where the service will be available that includes Greater London, Cardiff, Bristol, Reading, Manchester, Leeds, Liverpool, Sheffield, Birmingham, Glasgow, Newcastle and Nottingham. The company has been offering its FTTB connectivity to residential buildings since October 2001 when it connected a 133-unit building in Wandsworth, London. Hyperoptic was launched by the same team behind the Be Un Limited ISP that was absorbed by Sky's takeover of Telefonica's fixed line and broadband business last year.